Kuwait - 2013 -Kuwait Al-Sharq Fish Market. Wide side view of the central hall. Fishermen, traders and customers are bidding and haggling at the fish auction. 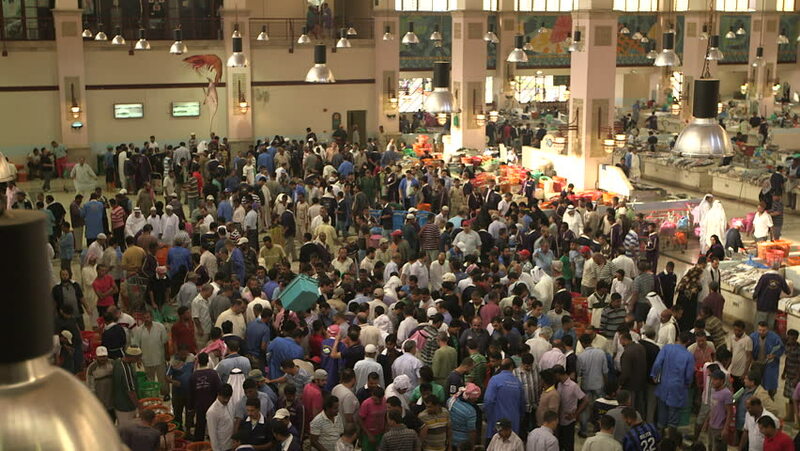 hd00:26Kuwait - 2013 - Al-Sharq Fish Market. High angle shot of the central hall. Fishermen, traders and customers are participating in a fish auction.